After searching for the best entry point into the world of code, many find that one of the top resources is freeCodeCamp. This non-profit organization is dedicated to helping people learn to code for free. Online resources include a treasure-trove of videos, instructional articles, as well as interactive coding sessions. A local study group, freeCodeCampOKC is an extension of this education portal, connecting learners with experienced professionals that enhance the experience. The OKC branch of freeCodeCamp began in 2016 as a group that met at Starbucks on Northwest Expressway. As membership grew, coders moved to a twice-monthly meeting in a library study room. 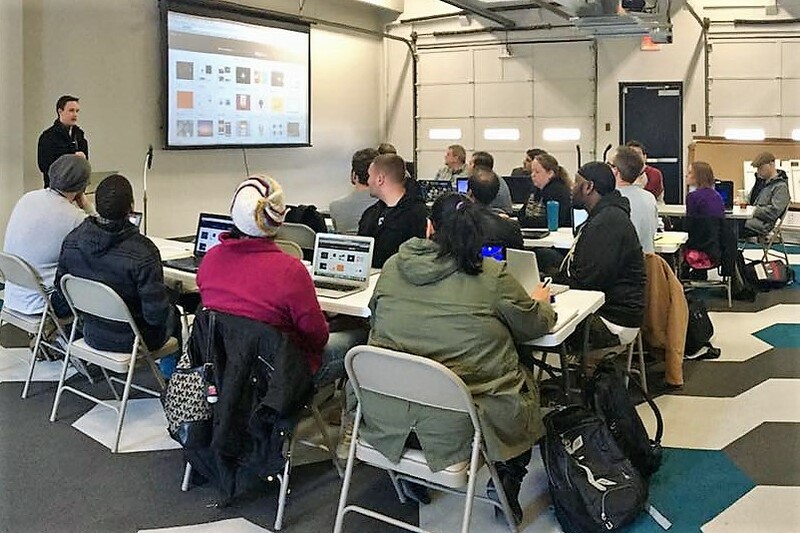 From the very beginning, the meetup was all about learning together and adding real-world insights to the training materials published on the main website. Gladney also pointed out how accessible the tech industry really is to people who are just starting out. “I think there are so many that want to better their lives and realize technology and IT are very real options to do so and having resources like FCC make it obtainable for so many people - especially with the rising costs of college and classes that don’t fit busy adult schedules,” she said. For more details about freeCodeCampOKC, you can join their Facebook group, follow them on Twitter, or take a look at member content published on Medium.